A high strength solvent free adhesive with water and sea water resistant properties. DAT All Weather PU Adhesive is a high strength one-component polyurethane adhesive with moisture cureing properties. 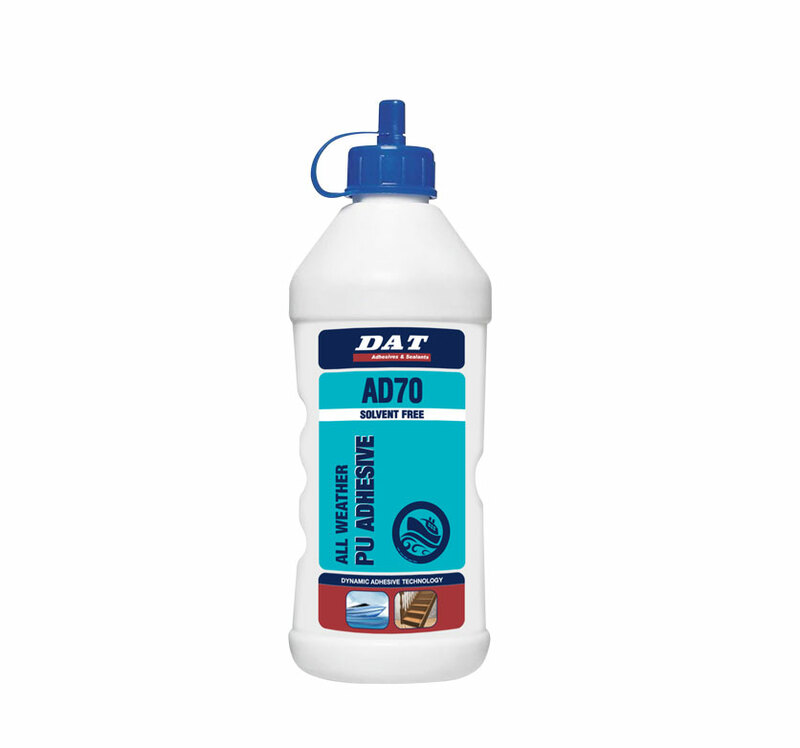 Its specialized solvent free, water and sea water resistant formula makes it ideal for boat construction and repair, as well as furniture manufacturing, bonding acoustic panels and kitchen installation amongst others. It is fast drying, easy to apply, can be applied to slightly damp surfaces and can be used for filling (inflated and fill gaps) as well being resistant to moisture and chemicals. 1. Prepare and clean all the surfaces to be bonded. Ensure all surfaces are free from dust, dirt and grease. 2. Abrade the surfaces to enhance the bond strength. 3. Spray the area with a little water. 4. Remove the cap and apply the adhesive to the substrate. Tack-free time is approximately 15 minutes. 5. Bond the substrates firmly together. 6. Clamp objects for additional support until the adhesive is fully cured. The adhesive will be fully cured within 60 minutes. Store in a cool dry place, away from direct sunlight and sources of heat ignition.